Adani Defence & Aerospace has acquired a 25 per cent stake in Bengaluru-based Alpha Design Technologies for an estimated 400 crore ($ 55.9m). The transfer of shares has been actioned after the signing of the agreement in New Delhi on December 13, 2018 between Ashish Rajvanshi, head of Adani Defence & Aerospace, and Col HS Shankar, chairman of Alpha Design Technologies, sources confirmed. 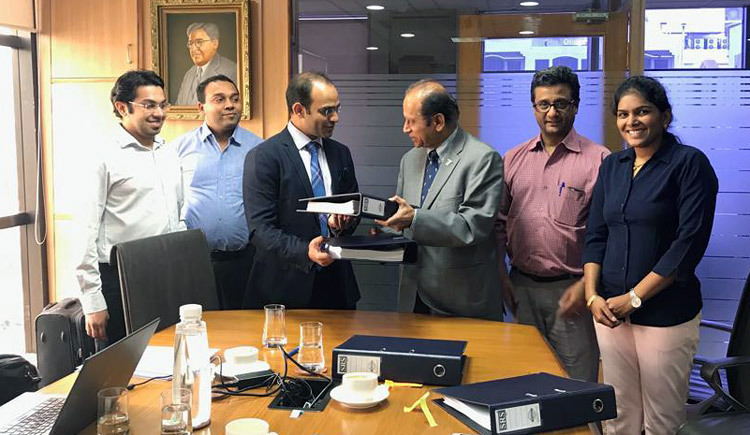 This acquisition lends credibility and weight to the Gujarat-based group’s efforts to qualify for various ‘Make in India’ programmes, including those under the Strategic Partnership model. In 2018, Adani submitted a bid for the billion dollar project to make 111 Naval Utility Choppers under the Strategic Partnership route. “By picking up a significant stake in Alpha Design Technologies, the Adani group can claim several segment specific capabilities,” an industry source inferred. “It gives Adani both capability and assets to show, and strengthens its case in several acquisitions programmes,” he said. Through its stake, Adani has accessed Alpha Design Technologies' proven capabilities in aero structures for helicopters and fighter aircraft, as well as in defence electronics. Alpha makes one-third of the structure of the Sukhoi-30 fighters being made at HAL, and one of three main surface structures of the Light Combat Aircraft Tejas. "Alpha Design Technologies has proven capabilities in aero structures for helicopters and fighter aircraft, as well as in defence electronics. Alpha makes one-third of the structure of the Sukhoi-30 fighters being made at HAL, and one of three main surface structures of the Light Combat Aircraft Tejas"
Alpha Design’s capability portfolio also includes software design radios and simulators. Tie-ups with leading Israeli and Russian companies add further value to the Bengaluru-based company, which has bagged orders worth 1,100 crore ($153.7m) in the last four years. Even before the Adani acquisition of Alpha Design Technologies stake, the two had been acting in concert. They jointly bid for the 2,100 crore ($ 293.5m) competition for the upgrade programme for the Navy’s Ka-28 anti-submarine helicopter in 2018. Synergies between the two entities will complement the Adani joint venture with Israel’s Elbit, which in February 2019 is due to commence production of aero structures for the Hermes 900 high-altitude long endurance (HALE) drone for the export market at a facility in Hyderabad. "Adani is attempting a rapid capability build-up through strategic tie-ups and acquisitions to target big orders"
Adani is attempting a rapid capability build-up through strategic tie-ups and acquisitions to target big orders. It has a well publicised tie-up with Sweden's SAAB to pitch for the Gripen fighter for India. The group is also collaborating with Rave Gears of the US for manufacture of helicopter precision gears and transmission systems. These collaborations are also giving this group exposure to the global market. In addition to foreign tie-ups, the Adani group has also picked up stakes in two Indian companies in the Defence sector, AutoTEC Systems and Comprotech Engineering. Industry watchers read these moves by the Adani Group as a concerted attempt to enter the big league of Indian private sector groups in the defence and aerospace sector comprising of Tata, Larsen & Toubro, Mahindra and Reliance.